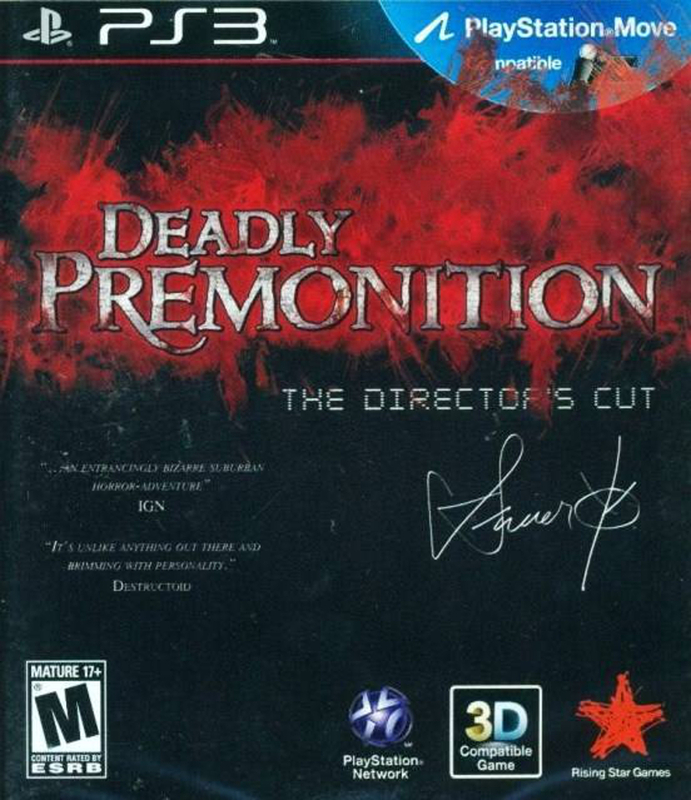 Touting itself as one of the most critically polarizing games of recent times, the Director’s Cut release of Deadly Premonition highlights a quirky game with many inspirations. When it was originally released stateside for the Xbox 360 on February 23, 2010, the game was met with critical reception that ran the gamut of the traditional 1-to-10 rating scale. 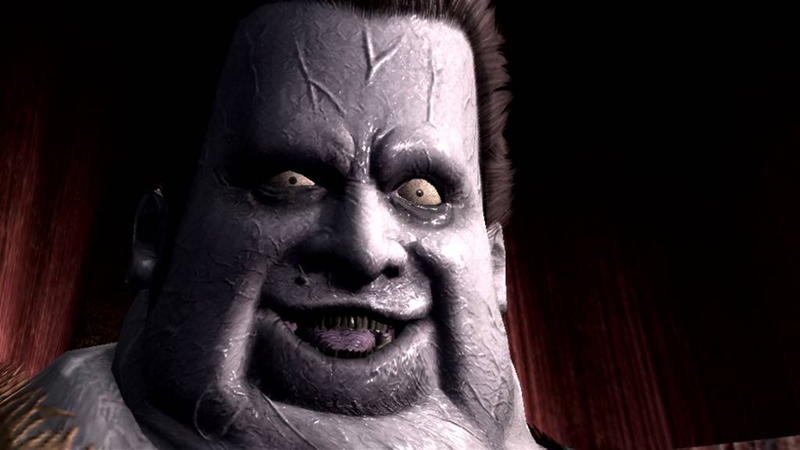 Almost every aspect of the open-world horror game caused a rift that placed players in a love it or hate it camp. Released on April 30, 2013 for the PlayStation 3, the Director’s Cut rectifies nothing and instead doubles down on the cult following it created. Having played it myself, I can safely say I’m in the love it camp but that doesn’t mean I enjoyed every bit of it. The characters were a mixed bag, and nothing was “odd” in this town. 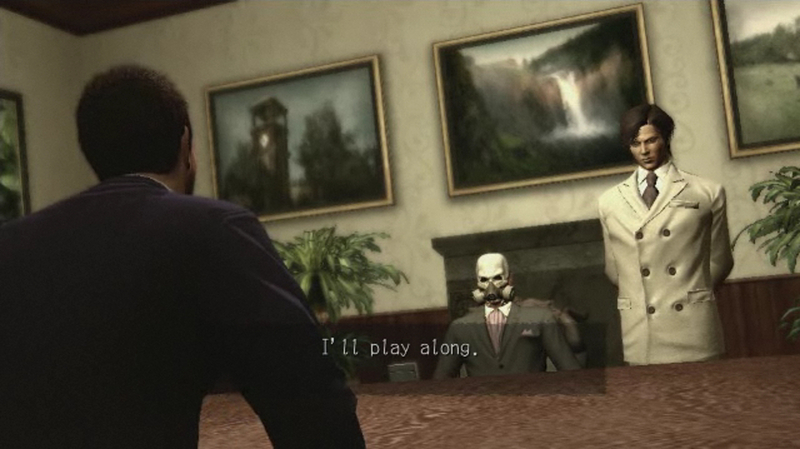 Even a man wearing a skull mask respirator. Set in the fictional town of Greenvale, Washington, the game follows FBI Special Agent Francis York Morgan as he investigates the grisly murder of a young woman. The case deepens as more young women are murdered by the mysterious Raincoat Killer. At the crime scenes and around town, York encounters a recurring symbol and the presence of red seeds, both of which play an important role and portend an otherworldly quality to the plot. In regards to the general plot, setting, and characters, the developers at Access Games, and likely the game’s director Hidetaka “Swery” Suehiro, seemed to have drawn heavily on another instance of cult entertainment: Twin Peaks. Besides the similarities listed above, many of the townsfolk that York deals with through his investigation are representative of characters from Twin Peaks. So much so there’s even a Log Lady equivalent! Most everyone has a ludicrous trait that keeps the experience from feeling like a representation of the real world; such as York’s tendency to monologue about famous movies and directors to Zach, another personality of his – the result of his dissociative identity disorder. Or the fact that York finds himself in otherworldly versions of the real world while profiling his suspect. On the other hand, Emily Wyatt, the deputy sheriff, came off surprisingly grounded, in part because of her girl next door portrayal. The relationship between her and York depicted a budding romance that culminated in a wrenching conclusion, one that really made me sympathetic for the two. Driving was a tedious task initially thanks to speed limitations. Fast cars though had the tendency to wind up like this. The significance of the ritualistic killings, symbology, and red seeds are eventually made apparent and everything relates back to a gruesome night in the town sixty-odd years prior. The pace really picks up around this point and I didn’t want to stop playing the game. I spent about fourteen hours playing in the weekend leading up to its completion; a feat that I haven’t done in a long time. It was also about this point that all semblance of reality began getting stripped away as the game’s true villains were revealed, leading me to find commonalities between the final third of the game and Inuyasha. The final sections showed off an array of noteworthy boss fights (I had to call Jenny in to see some of them), although the rest of the combat was defiantly rote. Combat sequences took place in closed off areas, usually with the objective of finding clues to aid in York’s criminal profiling. While trying to push the narrative forward, York dealt with innumerable zombielike creatures that populated these otherworldly versions of existing locations. 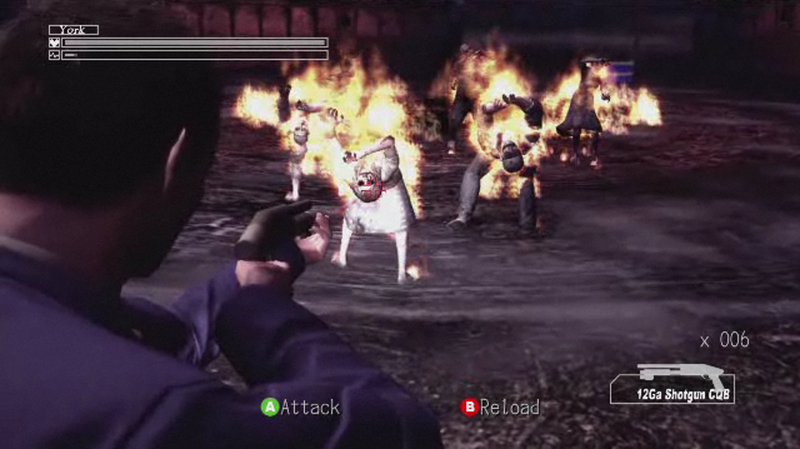 Combat was highly derivative of Resident Evil 4, down to York planting his feet while I aimed. A lock-on feature reduced the ire caused by the troublesome aiming but couldn’t help the combat from growing tiresome after a section or two. The few run-ins York had with the Raincoat Killer did result in tense and stylish escape sequences, with a fair amount of quick-time events for good measure. The otherworldly aspects became more crucial to the plot as the climax drew near. When not in combat, York was free to explore the town of Greenvale and perform a wealth of favors for the townsfolk, totaling fifty sidequests in all. This fact didn’t dawn on me until about halfway through, coincidentally, about the time the plot was striking my fancy. Completing the sidequests not only broadened my understanding of the characters and their relationships, but also served as the open-world “collectible” to obsess over. It doesn’t take much to convince me to collect everything of something (thanks Pokémon!) but the fact that trophies were tied to these meant I was going to collect them all, and “platinum” the game in the process. For the most part, the sidequests were very simple, although their variety and outcomes were immense. They ranged from block-pushing puzzles and collect-a-thons to the retrieval of specific items strewn about Greenvale. Starting them was simple, just talking to the quest giver but finding them at a given point wasn’t so simple. The town of Greenvale operated no different from ours, with individuals performing tasks and working based on the time of the day and the weather conditions. While I could solicit tasks from the owner of the Milk Barn grocery store during the day as he was working, I wouldn’t be able to at night when he was home resting. The criteria for these were openly displayed and I found the overall structure to be reminiscent of the Bomber’s Notebook from The Legend of Zelda: Majora’s Mask. The zombielike creatures had terribly annoying sound effects. I found them to grow funnier with time. It’s somewhat surprising to think about the quantity of influences that this game draws upon. I’ve made mention of so many at this point, I’d be remiss if I didn’t compare the open world qualities to be evocative of Grand Theft Auto, by way of Shenmue. Overwhelmingly, these influences come together with a surprising degree of competency. Despite this, it’s hard for me to walk away from my time without criticisms. I felt many of the combat sequences dragged on far too long considering how unrewarding the combat itself was. And, not to stigmatize too much but this was a budget game originally, and the quantity of “open-world jank” I encountered is a testament to that; not to mention the near-PS2 quality of the graphics. 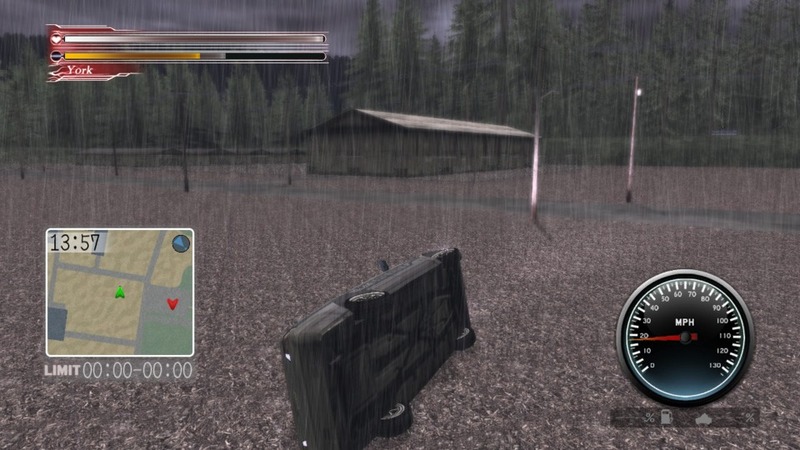 There are so many other grievances I have with the game, but I still spent forty largely enjoyable hours with it and if that’s a testament to anything, it’s to the redeeming and endearing qualities of Deadly Premonition.